Adirondack lakefront home located on approx 8.4 acres of complete privacy with 425 ft of shoreline on Piseco Lake.This custom home was recently rebuilt and features living room, formal dining room with vaulted ceiling, kitchen, master suite and guest room suite.This lake house has many unique features which makes this home stand out.A true Adirondack treasure. Additional small open concept log cabin. Dock with solar power boat lift.Total acres is 8.4 on two separate parcels. Welcome to the heart of the Adirondacks. This unique custom built home has spectacular views of the West Branch of the Sacandaga River, Silver Lake Wilderness and The Ferris Lake Wild Forest. Home features open concept living with new kitchen, living room with wood fireplace, mstr suite with a gas fireplace and a few steps up into the dining area w/sliding glass door looking out at one of the vast views. Solar with battery storage and 2 back up generators. On 2 parcels approx. 55 acres. 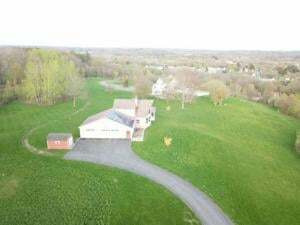 Situated on 5 acres with privacy of a cul-de-sac setting.Magnificent 4 bedroom home with 4000+sqft of living space. Amazing upgrades throughout this home from travertine tile, granite counters, hardwood floors. 2 master suites plus 2 additional bedrooms shared bath. Laundry room on 2nd floor. Lg eat-in kitchen, pantry, formal dining room, office/den and sunken living room with fireplace. 3 season room that leads to deck. Finished basement with craft/den and half bath. Short distance to Albany and Saratoga. 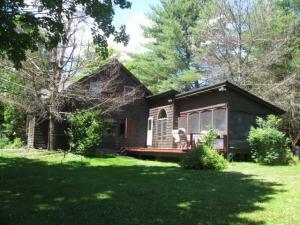 Direct Lakefront Property on private Peck's Lake located in the Southern Adirondacks. Spectacular views from all 3 floors! 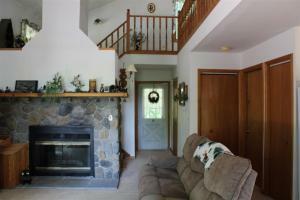 Open concept kitchen, dining room & living room with fireplace, opens to spacious deck that overlooks the lake. 2 BRS on main floor and full bath. Master Suite with full bath on second floor. 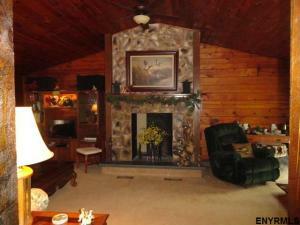 Lower floor Entertainment/Family room with fireplace and 1 BR. 2 car spacious detached garage. Boat and all furnishings included! 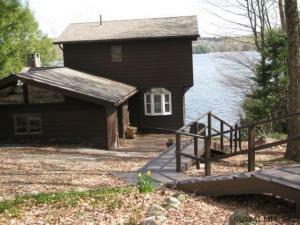 Deck on 100' lake frontage for easy access. The view from the top of Adirondack Heights is spectacular. On a clear day, you can see forever! So, think about, everyday, looking out the windows of this home with that view. This is a custom home with a prow front. 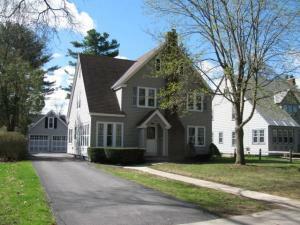 Features include a first floor master suite, open floor plan, sun-room, cathedral ceiling, central air. Three car attached garage and a high and dry basement for easy conversion for additional living space. 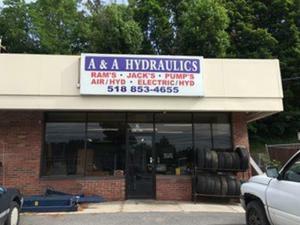 Across from the Steet Toyota and Treiber Nissan, great spot for another dealership or national franchise or food chain. A portion of tax parcel 163.5-3-5 and all of tax parcel 162.12-9-1. The prime portion is approx. 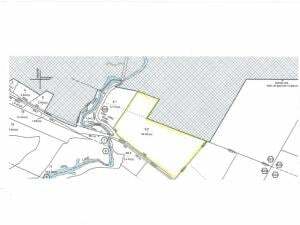 3.5 acres to 4 acres having 325 ft of direct frontage on Sthwy 30a, while the rest is wooded, preserve type lands that border the creek. 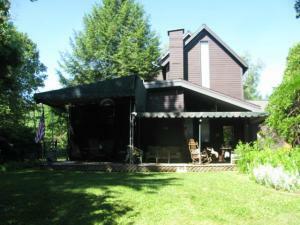 Relax on the wrap around porch and enjoy the magnificent view of the Great Sacandaga Lake. 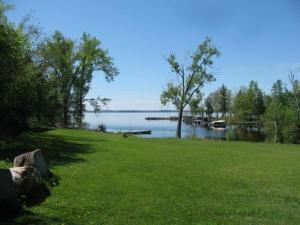 Updated and modern lakefront home with HRRD permitted 87ft x 1058ft on the lake. Plenty of room to entertain inside and outside. Many amenities including fireplace, wood stove, hardwood floors, wrap-around porch. The views of the lake are incredible. 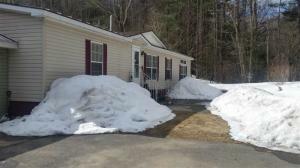 Additional care-taker or rental cottage as well as two storage units included. Location, Location, Location. 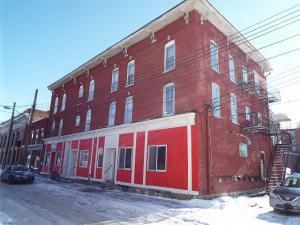 Just 4 miles from the NYS Thruway, and adjacent to the Johnstown Industrial park, this site has a history of success. Formerly a modular home sales site, its current tenant markets used cars and trucks. 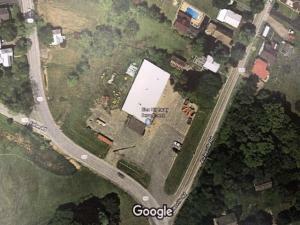 Two buildings (one is a pole barn storage and the other 6-7 room sales office) Great spot for most and business operation. This is your chance to own a stunning piece of property that is off the grid and has gorgeous views. Multiple out buildings including barns, chicken house, ice house, sugar house and a guest house that is in progress. 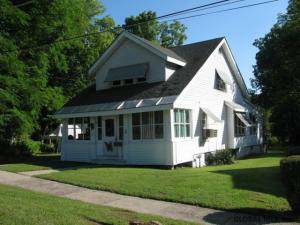 Main house has 4 bedrooms, 2 full baths, all new windows and wiring. 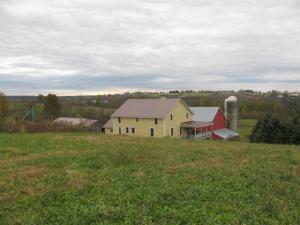 56 Acres are clear and 50 acres are wooded with small orchard of multiple fruits and 500 maple taps. 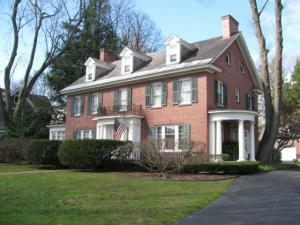 Classic Georgian Brick Colonial with all the bells and whistles, decorated in character and with too many amenities to mention. 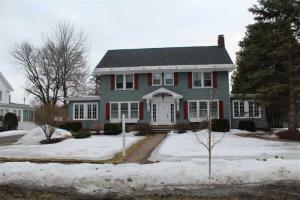 It sits stately on a 1 acre fenced and landscaped lot with a brick 3 car garage. It is guaranteed to "wow" you! (excludes foyer chandelier) If you have a large family or are just looking for a prestigious home with very special amenities, then this could be the home of your dreams. 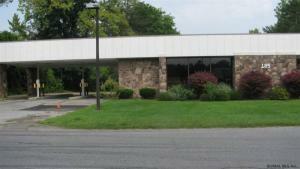 Former City National Bank, most recently used as an insurance agency 10 +/- offices, many recent improvements. Great for medical office. This can be sold with the adjoining lot 124' x 245' for an additional $80,000. Just off State highway 30a, near Burger King, Key Bank and JFine Jewelers. 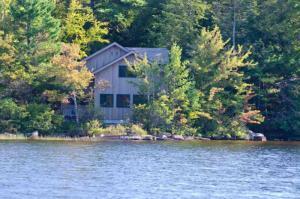 One of a kind Adirondack Waterfront Property on 1.3 plus acre setting with 255ft waterfront on West Stoner Lake. 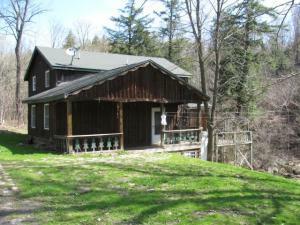 Rustic 3 bedroom, 2 bath lake house boasting large living/dining areas with adjoining open lakefront porch. Room for the whole family here. Applianced kitchen, den/extra bedroom down with bath. Private setting tucked in on a private drive with wide open lake views. 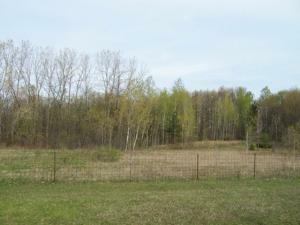 Extra back lot of 0.42 acres included. Four season recreation abounds with hiking and snow mobile trails close by. Fish, swim, boat or just relax at your own private lake home. The perfect Adirondack camp reminiscent of a bygone era ! Property being sold mostly furnished with exception of some personal items. Peck Lake contemporary lake-home with three bedrooms and two bath. This home is tucked away and shadowed by beech trees and cherry trees and sits with southern exposure. Open concept living room with fireplace for those cozy but chilly evenings at the lake. Peck Lake access rights included. There are two dwellings on 2 parcels - one access driveway so will be sold together. 1 well and 1 septic for both. Small cottage is a 2 BR, k, lr, dining area and lr or fr. full bath. 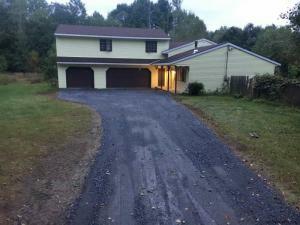 1 car garage Larger, 2 story, has k, lr, d-area and small room with full bath in process. Up is 1 large BR and full bath - there is a mold report on this property - there is also a very large 2 story garage and a shed. BOTH PROPERTIES HAVE CAROGA CREEK RUNNING ALONG SIDE IT!!! Very private setting. 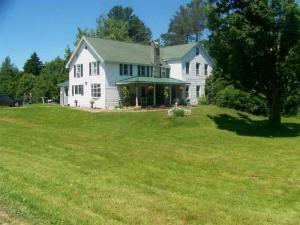 Situated on 6.5 acres (additional land available) with pond and stream on the property. 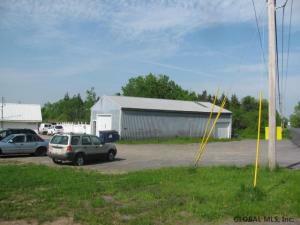 3 car garage with potential for apartment, extra room, office, business, endless possibilities. 11 rooms total with over 2800 sqft of living space. 3 bedrooms, 1.5 baths. Come take a look! Come see this extraordinary raised ranch with a double lot. You will not believe how big it is inside! This is currently being used as a 3 bedroom, but could easily be a 5 bedroom. 1st floor is main living which includes a master suite, and 2 additional beds and full bath. Huge living room, open concept kitchen with large island is open to dining room with french doors that lead to deck and above ground pool. Fully finished basement with massive storage room and laundry area. A family room with a wood burning fireplace and brick surround. 2 additional bedrooms with ceramic tile floors. 4 heating zones, hardwood, ceramic tile and carpet throughout. 4 car garage is 20x40 with breezeway. House and garage is meticulously maintained and move in ready. Come take a look. 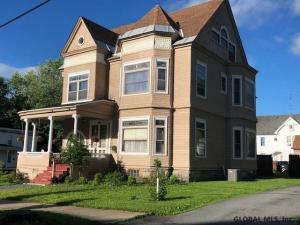 A beautiful Victorian home located in the south end, on historic street in Johnstown. This home offers over 3600sqft of living space. Entering the home, you are greeted with golden, natural woodwork and carved open stairwell. 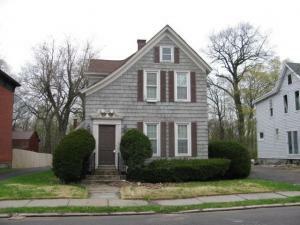 Character and charm throughout this four bedroom home. Double living room, formal dining room, open kitchen, hardwood floors. Detached garage, fenced yard. A home not to miss! 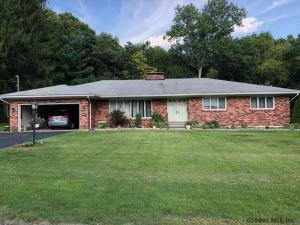 Beautiful Brick Ranch style home, located on a dead-end street. 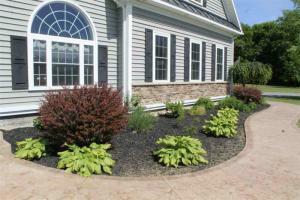 This home features four bedrooms with 3.5 baths. Living room, formal dining room, good size kitchen. Boasting hardwood floors and two fireplaces. Finished basement with large family room. Lovely outdoor living space with deck and above ground pool. Ready for the new owners! Welcome home to your very own beautiful log home w/cathedrail ceilings, stone fireplace in the living room, woodstove in the kitchen and basement. Situated on 1.6 across of land, privacy you can enjoy. Being sold AS IS. 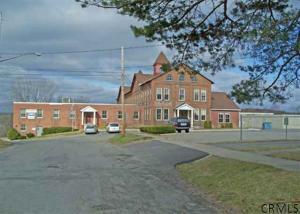 Broadalbin-Perth School District. This Farmhouse with the view of the Adirondacks has it all! With over 2000sqft of living space including 5 bedrooms and 2 full baths. Living room, formal dining room, eat-in kitchen and laundry on the main floor. 97 acres. Barn which sits back off the road and 2 paddocks. West Stoney Creek runs at the back of the property. 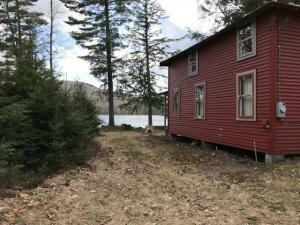 This could be sold as a package with 589 County Highway 112 (small building with septic, furnace, electric on half acres next door) MLS 201823166. 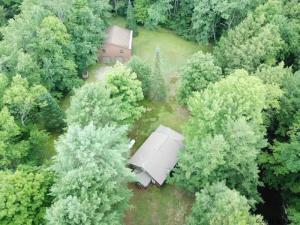 Come see this well maintained raised ranch on 1.7 acres located in the town of Johnstown. This is a 4 bedroom, 2 bath with large living room and open concept kitchen, dining and family room. Full basement with high ceilings. Plenty of room for storage and extra living space. Above ground pool and nice sized deck for outdoor entertaining. Quiet dead end rd for privacy. This NEW Ranch Style home has approximately 1100 sqft of living space. Open concept living room, dining area and kitchen. The kitchen is complete with white cabinetry and tile back-splash. High end finishes including hardwood flooring. 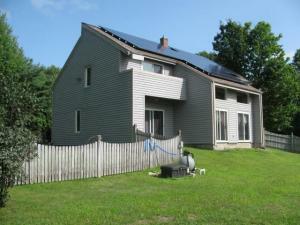 One floor living with central air and is energy efficient. High and dry basement that could easily be converted into additional living space. Location, Location, Location. Open concept raised ranch offering a living room with fireplace, dining area, large eat in kitchen, master suite, 3 bedrooms on main floor and possible office/bedroom on lower level, and 3 full baths. This home is neat, clean and well taken care of. Call today to schedule your private tour. Move right in this 4 bedroom 3 bath home close to school and shopping in a lovely residential setting-deep landscaped yard. 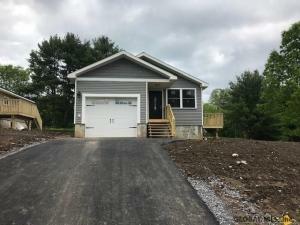 Perfect floor plan with 2 bedrooms and bath down and 2 bedrooms and bath up plus fully finished basement with rec room and bath. Master suite has bath and walk in cedar closet. Large eat-in cherry kitchen, tons of closets throughout this home. Sunny enclosed back porch overlooking the yard, 2-car garage plus deck. Basement has been totally re-done with large rec room, bath and laundry room plus many storage areas. This home would serve one floor living if needed and have room enough for a growing family. Elementary school, playground, tennis courts are steps away as well as shopping and easy access to Route 30 and New York State Thruway for easy commute! One floor living at its finest! This ranch style home is located on a dead-end street. Three bedrooms, two full baths. Newer kitchen with sky-light. Nice screened porch. Seamless rain gutters around. 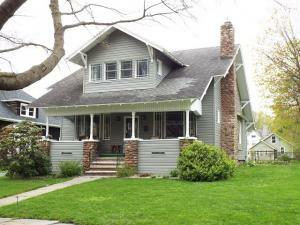 This home has been nicely maintained over the years. Don't hesitate to make an appointment today! Golf? This post and beam style Colonial butts right up to the Golf Course in the back Yard. 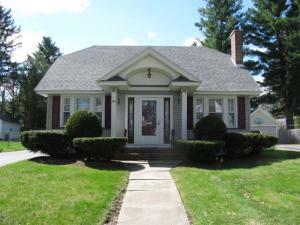 Old style Colonial decor throughout this classy home will warm your heart every time you walk thru the front door. 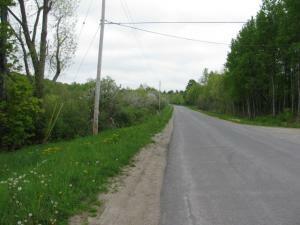 Walk or ride your bike to Canada lake just down the road. Updated kitchen and baths and a beautiful wood burning fireplace in the living room are just a few of the many outstanding features of this warm and inviting Classic! Exposed beams and wide plank floors will make decorating this home a joy. COMPLETELY REMODELED! The kitchen has granite countertops, maple cabinets with easy close drawers and brand new stainless steel appliances. 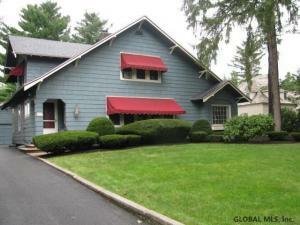 Open living room and dining area with oak hardwood floors and full bath on the first floor. There are 3 bedrooms up with a full bath. All you need to do is move in. Call today for your private viewing. 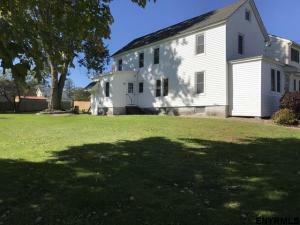 3.3 acres in the city located next to historic Sir William Johnson Hall. House needs some TLC to uncover all of the hardwood floors hiding beneath the carpet and linoleum. Family room has wood insert and there is a 1st floor bedroom. 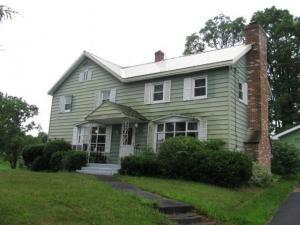 Features a detached garage and old milk house for storage, enclosed front porch and screened in back porch. ROOM TO GROW AND SO MUCH MORE! 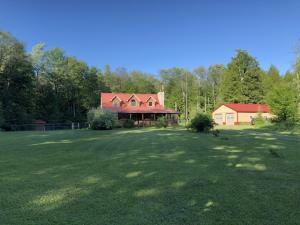 This home sits secluded and private, and offers so many possibilities with its large garage and 34+ acres(with adjoining 8.1 lot also available for purchase). The land is beautiful with its woodland and retreat-like setting making it easy to envision a lifetime of memories. Fish the nearby Garoga Creek or scout the wildlife trails through your own private forest(coffee optional). With a little TLC and a few quick updates, this gem is waiting for it's newest adventure. This immaculate home is 30 Years young. 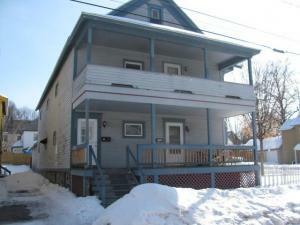 Has 2 large bedrooms on first floor with a full bath. Up stairs are 2 more large bedrooms with a half bath. All have good sized closets.The main floor is an open concept kitchen, dining room and living room. Sliding doors lead to a large deck. Full basement has laundry hookup. Also a detached 2 car garage with door openers. This can be purchased with lot next door for a price to be determined. Four unit apartment building. Good money maker! Great opportunity! Each unit has two bedrooms and spacious rooms. Each rented at $650 per month (fully rented). Owner pays heat, tenants pay electric (each unit has thermostat). Two dryers and two coin operated washers for household use included. New roof in 2015 and replacement windows throughout. Well maintained building! Gracious and inviting. 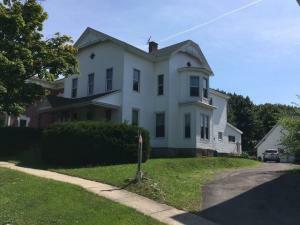 Inspect this comfortable cottage styled, 7 room home with 2 and half baths and two bonus finished rooms in basement. It features a large two car garage, well landscaped and deep lot, patio, fireplace and generous sized rooms. 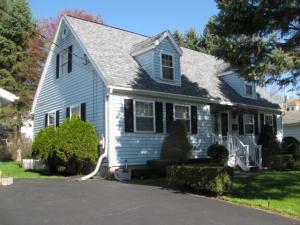 This beautiful Center Hall Colonial is light and bright. With 2400 sqft of living space including 4 bedrooms and 2.5 baths. Features family room off kitchen and an additional one off the living room. Formal dining room, spacious living room, hardwood floors, built-in cabinets. 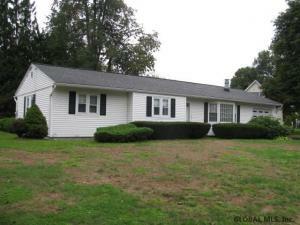 This well kept home also has new roof, wooden thermal windows, b-dry system, gas furnace. Enjoy the large back yard. Don't miss this opportunity! Have a full house? 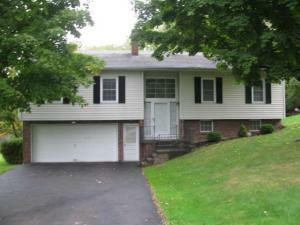 Look no further than this lovely home with 4 bedrooms and one and a half baths. Living room with fireplace, eat-in kitchen, dining room and family room are awaiting you, so don't wait, book your appointment today. Cute as a button and neat as a pin. 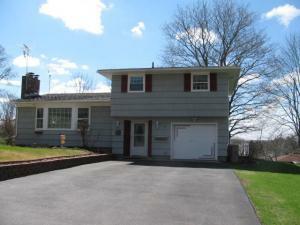 Inspect this well kept 3 bedroom split level home with large double lot on a dead end street. Many nice features including a fireplace, tv room, lower level computer room, attached garage. Compact and very efficient home. Cold? Want to warm up? Then step right into this inviting 4 bedroom, 2 full bath home that’s been brought back to it’s original beauty. Many new features including a gas fireplace, 28 custom thermal windows, electrical panels and wiring, kitchen countertops, and vinyl siding. Both bathrooms fully renovated from top-to-bottom. All wood floors have been refinished. Upstairs office easily converted back to a 4th bedroom. Dual hard-wired CO2 and smoke detectors. A beautiful home in a peaceful park-like setting. What a setting!!!! Rustic style contemporary home with four bedrooms. Overlooking a babbling brook and lots of woods. Tons of wildlife and peace and quiet. 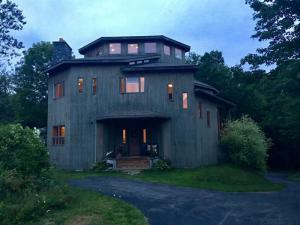 Situated on 14 acres. A dream come true. Don't miss out. Country calling your Family? 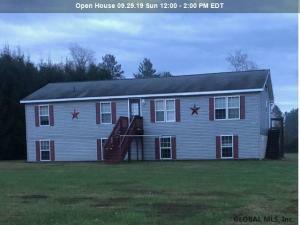 Inspect this spacious 3 bedroom ranch styled manufactured home with two baths, sun filled family room, gas wood stove, picturesque view, 5+ acres of privacy, low taxes and just 16 years old.